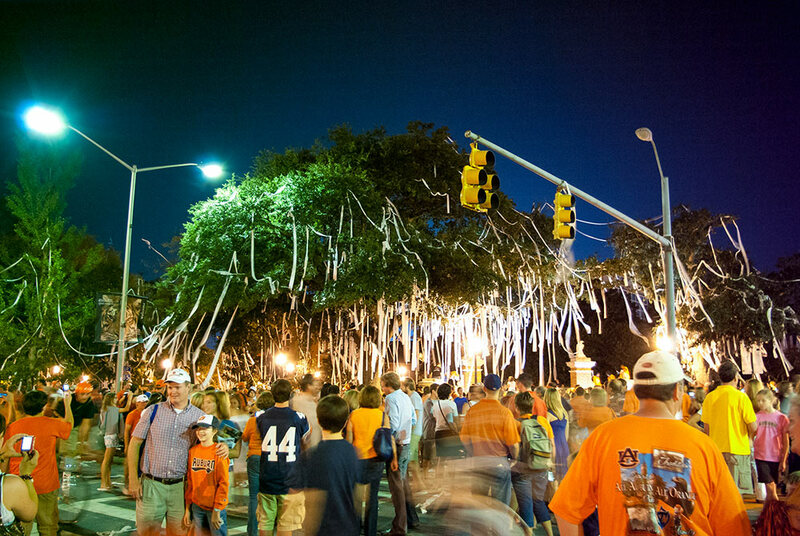 A canopy of white toilet paper rains over the intersection of College Street and Magnolia Avenue, known to locals as Toomer’s Corner. No, someone didn’t pull the ultimate prank; Auburn just won a football game. In the sea of blue, orange, and white, people hug each other as they celebrate another win by the Tigers. But the Auburn family spirit doesn’t stop with football; it can be seen all over town throughout the year. The recently renovated Hotel at Auburn University stands just steps away from downtown Auburn. Its friendly staff leaves guests feeling right at home, and artwork depicting the campus lends a sense of place. Owned and operated by an extended family of Southern food lovers, Pannie-George’s Kitchen offers fried chicken so good, it was featured on ESPN’s Todd’s Taste of the Town. Acre, a recent high-end addition to the city’s dining scene, prides itself on simple dishes made with local ingredients and presented with artistic flair. The Hound serves a carnivorous menu of American classics (many prepared with house-cured Berkshire bacon), seventy-five brands of top-shelf bourbon, and twenty-eight draft beers (most from local or regional breweries). Specialty nights featuring seasonal wild game underscore the restaurant’s hunting motif. 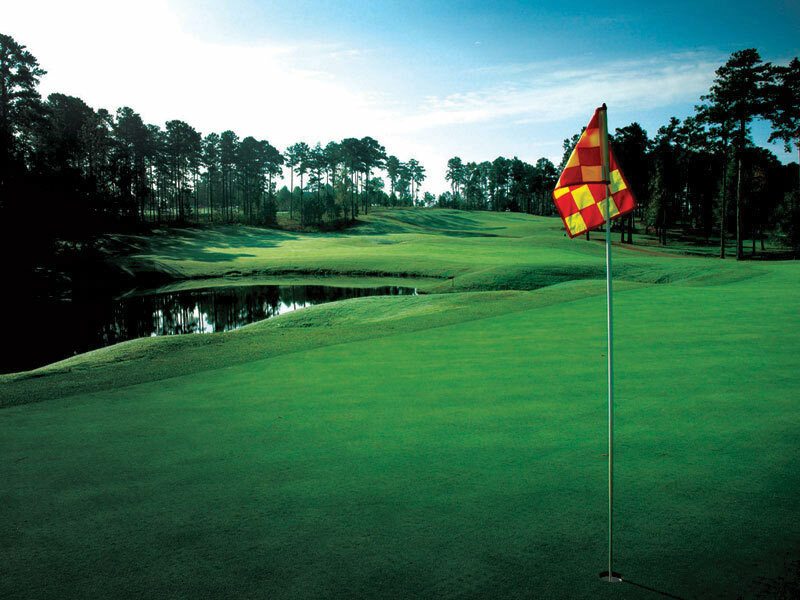 If golf is your game, a visit to Grand National in nearby Opelika is a must. Recognized as one of the nation’s top public courses—and one of the most affordable—Grand National features fifty-four holes hugging Lake Saugahatchee. Robert Trent Jones Sr. proclaimed it the “single greatest site for a golf course” he had ever seen. Another neighboring town worth visiting, tiny Loachapoka is known for its Greek Revival and Victorian buildings and its annual Syrup Sopping Day, when the population swells from 180 to an estimated 20,000. This year’s celebration—complete with home-made biscuits and hot cane and sorghum syrup—takes place October 18. 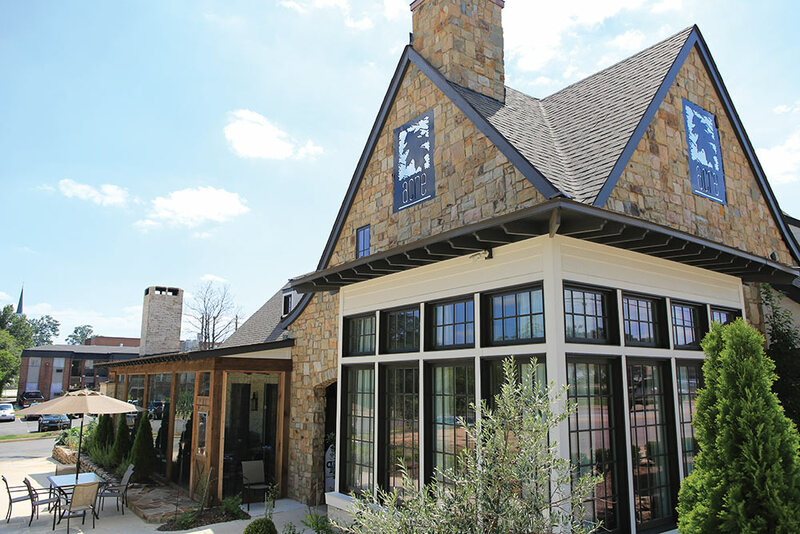 This article appeared in the Fall/Winter 2014 issue of Southbound.